Below you fill find all funeral homes and cemeteries in or near Hayden. Suburbs of Hayden: Garwood, Hayden Lake. 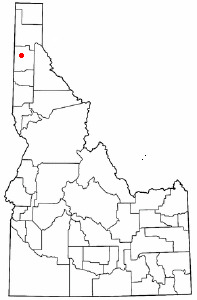 Hayden is also known as: Kootenai County / Hayden city. Zip codes in the city: 83835. Hayden is a city in Kootenai County, Idaho, United States. Located in the northern portion of the state, just north of Coeur d'Alene, its population was 13,294 at the 2010 census. It was written on February 13th, 2019 that Judith Ann "Judy" Skogen (Kaas) passed away in Hayden, Idaho. Ms. Skogen was 70 years old and was born in Richland, WA. Send flowers to express your sympathy and honor Judith Ann "Judy"'s life. It was disclosed by The Bismarck Tribune on February 22nd, 2017 that Bernadette "Bernie" Welch passed on in Hayden, Idaho. Send flowers to express your sympathy and honor Bernadette "Bernie"'s life. It was noted on February 8th, 2017 that Ted J Fischbach passed away in Hayden, Idaho. Fischbach was 87 years old and was born in Anaheim, CA. Send flowers to express your sorrow and honor Ted J's life. It was revealed on April 3rd, 2016 that Donald D Verburg passed on in Hayden, Idaho. Verburg was 82 years old and was born in Torrance, CA. Send flowers to express your sympathy and honor Donald D's life. It was reported on March 30th, 2016 that Donald D "Don" Verburg passed away in Hayden, Idaho. Verburg was 82 years old and was born in Torrance, CA. Send flowers to express your sorrow and honor Donald D "Don"'s life. It was written on August 19th, 2015 that Colton Willingham perished in Hayden, Idaho. Willingham was 22 years old and was born in Richland, WA. Send flowers to express your sorrow and honor Colton's life. It was noted on July 11th, 2015 that Marilyn Lynch passed on in Hayden, Idaho. Lynch was 68 years old and was born in Glendale, CA. Send flowers to share your condolences and honor Marilyn's life. It was written on April 9th, 2015 that Deanne Joyce Gates-Fain (Fain) passed on in Hayden, Idaho. Ms. Gates-Fain was 75 years old and was born in Tacoma, WA. Send flowers to express your sympathy and honor Deanne Joyce's life. It was reported on December 5th, 2014 that Betty Lee Santos (Murry) died in Hayden, Idaho. Ms. Santos was 88 years old and was born in Oklahoma City, OK. Send flowers to express your sympathy and honor Betty Lee's life. It was revealed on February 5th, 2014 that Judy Kathleen Wiester passed on in Hayden, Idaho. Wiester was 67 years old and was born in Tacoma, WA. Send flowers to express your sorrow and honor Judy Kathleen's life. Hayden is a city in Kootenai County, Idaho County, Idaho, United States. The population was 9,159 at the United States Census, 2000 census. . . . The official website for the city of Hayden is http://www.cityofhaydenid.us. Listing all funeral homes in Hayden, Idaho so you can easily send flowers to any location (same day delivery) or find any funeral service. We work with local florists and flower shops to offer same day delivery. You will find budget sympathy flowers in Hayden here. Our funeral flowers are cheap in price but not in value.